I'm going to preface by saying I like to try new products. Not often, but maybe twice a year I'll switch things up in my routine because my skin just ain't feeling it anymore. Now that I'm 9 months postpartum with my second little bundle, my hormones are out of control from breast feeding, and just the normal emotional roller coaster that comes with being a mom of 2 or just a mom of one! Not to mention the exhaustion! I started to get some serious acne. The cystic, under the chin kind, and all over the forehead kind. Not cool! 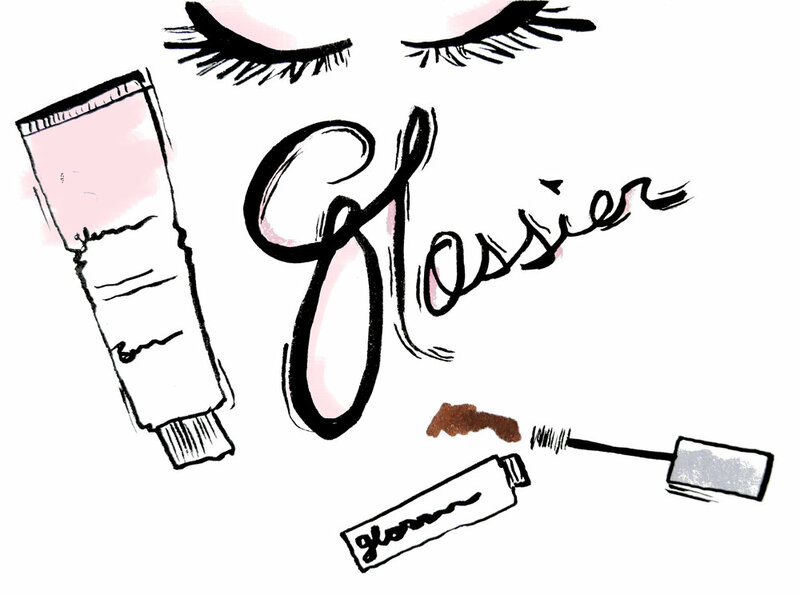 Anyway, after scouring the internet for a new product line of make up and skin care, Glossier popped in my head. Most reviews are 5 star for the brand and after trying them out I totally agree. This stuff is like a dream for a mom with NO time for a full face of makeup in the morning. Everything is easy to apply, light, and leaves my skin looking and feeling like I'm still 25. Here is my run down of what products are essential and my personal feels on them. 1. THE BALM DOTCOM: OK, at first I was like "umm no, this stuff is just like Aquaphor in a cute little tube, not worth it" BUT, then, after wearing it over night on my lips and during the day and never having to reapply I'm obsessed. It seriously locks in moisture. That being said. I wouldn't use this on my face for any dewy look (from what I've read, a lot of people have done that). In fact I tried that, and I got little red bumps on the sides of my eyes where I applied. I think my face is too sensitive for something so thick. But I will use this on my lips daily! The tinted version is amazing too for a subtle hint of color. 2. MILKY JELLY CLEANSER: I like this as a make up remover. Not as a face wash. My skin didn't feel clean enough with just this alone. I'd rather just use coconut oil to remove my make up and then use a lather. I do however like this as a quick morning rinse in the shower because I wont be removing any make up, and it feels moisturizing, and not harsh. 3. PRIMING MOISTURIZER: Love this stuff. It's light weight, non greasy, and build-able so I can use more at night when I need it and less in the morning when I'm going to add make up. 4. 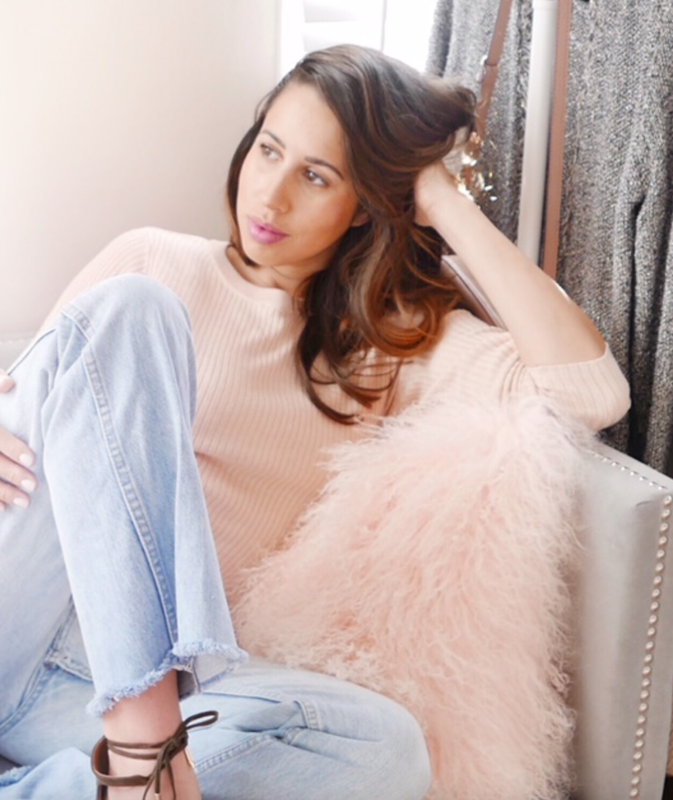 PERFECTING SKIN TINT: OBSESSED. This stuff is the perfect lightweight tint. I had to order two colors to get a color I liked. I did Medium and Dark and I mix them together for a perfect glowy, slightly bronzed, but still natural look. I had been using my Make up forever HD foundation, but after a few months realized it's way too much coverage for me. It looks like one flat color face and then I have to go and add blush, bronzer, etc etc to make it work and then It always looks like a full face of make up (which is fine for nights out) and it takes too much time. This tint makes my face look more natural, it evens tones, but allows my natural flusheness to show through. I LOVE it. It's also build-able so I can add more in places that need more coverage. If you like a real true, full coverage foundation, this is not for you, but if you like that natural, dewy look, then this is a winner. 5. STRETCH CONCEALER: This is the softest smoothest concealer. It's not too tacky and I love that. It's not the fullest coverage but it works for me. It wont work on the reddest of blemishes, but it's perfect for under the eyes. If you wear liner or mascara on the bottom lashes I highly suggest a setting powder over it under the eyes because I've noticed some bleeding when I wear more make up with it. 6. BOY BROW: YES YES YES. I recently had my brows microbladed so I don't need to use a pencil really to create a shape. Sometimes I do if I want a more "made up" look, but every day all I need is a little color definition on my hairs and something to keep it in a place, This does the trick! It makes them a little bushy looking which I love! If you don't have much of a brow and need to form a shape you will still need a pencil with this stuff. 7. HALOSCOPE: This is the créme de la créme of highlighters! It doesn't give you sparkle. It gives you glow. I probably would still use my Benefit highlighters for nights out, but this is exactly the natural dewy look for day time that I need! I use both Topaz and Quartz together. Topaz under the cheekbone for a defined look and quartz on top of the bone for a highlight and then I add a touch of Narz Maui stick on my apples for a hint of pink blush. 8. GENERATION G LIP COLOR: I like this stuff. but I also really like my other lip stuff. So I think this is not something I need, but nice to have. I like that it's sheer but still matte. Not many lip products have that combo. 9. THE SUPERS: Ok, I saved this for last because OMG how did I live without these serums before?? I bought the 3 pack and I seriously love all them. SUPER PURE has been a godsend on my postpartum acne. SUPER BOUNCE gives my skin a surge of moisture, and SUPER GLOW just enhances my skin's texture. I layer super pure and super bounce at night after washing my face and then I apply the moisturizer over it. In the mornings I put SUPER GLOW after rinsing my face and then add moisturizer and then make up. After a week or so I've genuinely noticed a difference in the brightness and how clear my skin is.